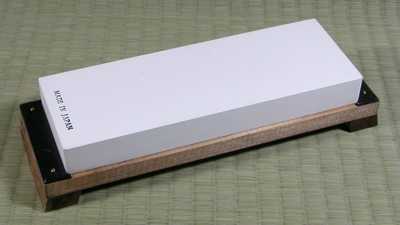 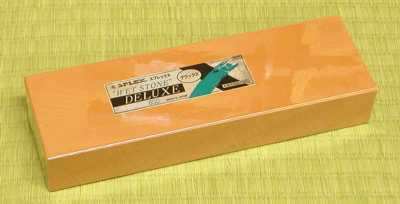 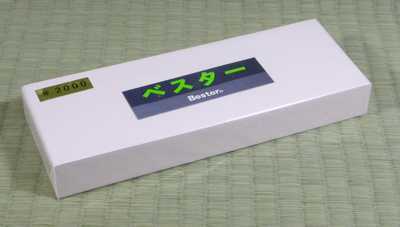 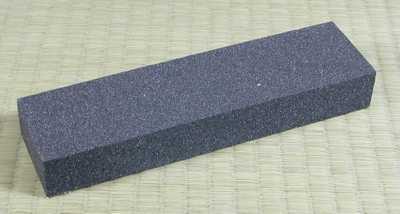 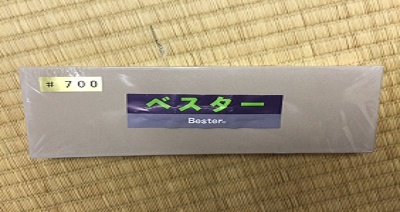 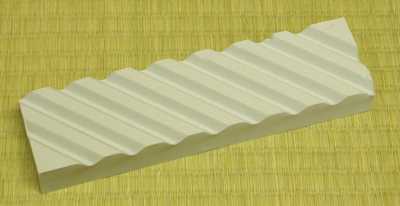 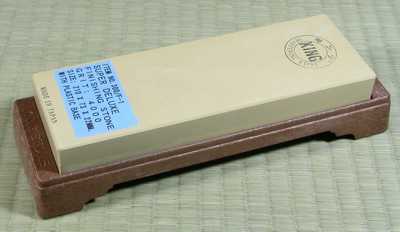 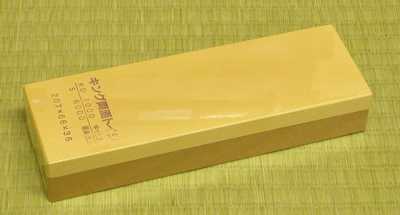 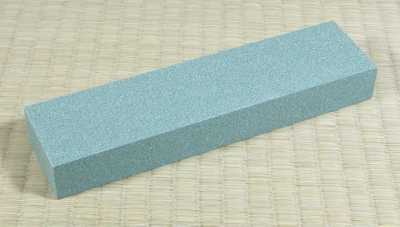 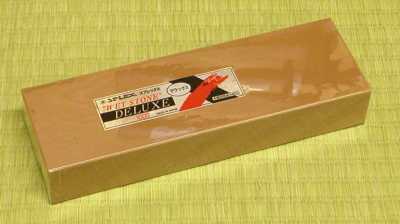 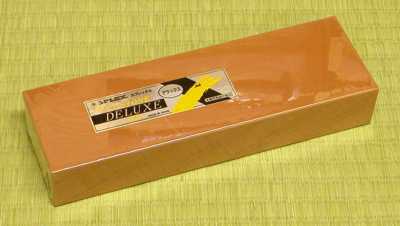 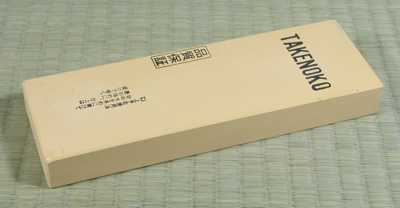 Japanese water stones will put a great cutting edge on any knife or sword. 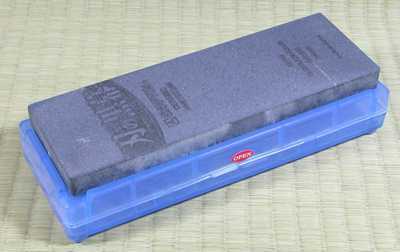 They should be soaked in water at least 15 minutes before using and can be stored in water (except for the bester stones which should not be soaked). 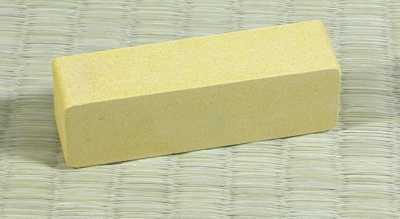 We have a guide to sharpening swords in our DIY section that may be useful if you have not previously used water stones. 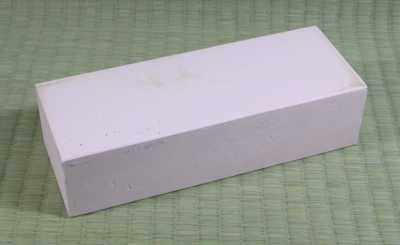 8 1/2" x 2 1/4" x 1"
8 1/4" x 2 1/4" x 1"
8 1/4" x 2 3/4" x 5/8"
8 3/8" x 3" x 1"
8" x 2 5/8" x 1 3/8"
8 1/8" x 2 9/16" x 1 1/2"
8 1/2" x 3" x 1"
8 3/16" x 2 7/8" x 7/8"
8 1/4" x 2 7/8" x 7/8"
8 7/8" x 2 7/8" x 1"
8" x 2 1/8" x 15/16"
approximate size is 2 3/4" x 7/8" x 3/4"